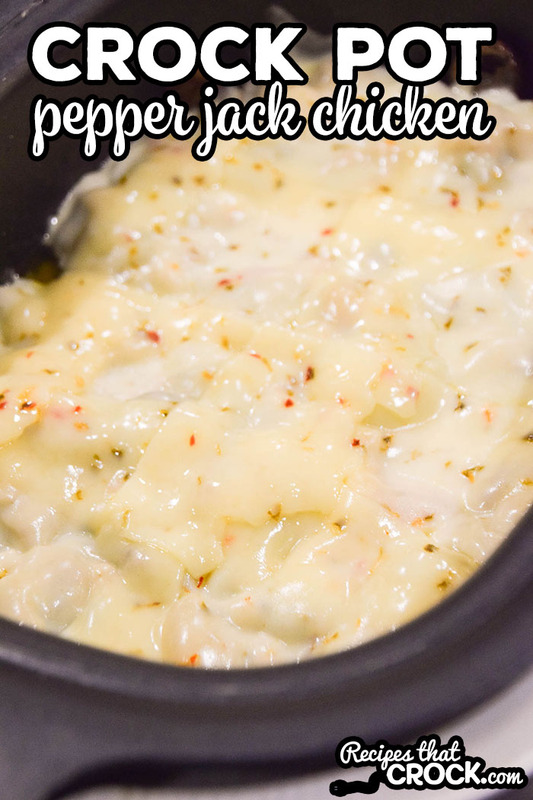 Crock Pot Pepper Jack Chicken - Recipes That Crock! I just love this recipe. I hadn’t made it in a while and when I was thinking about what we could share on the channel and blog next it hit me! 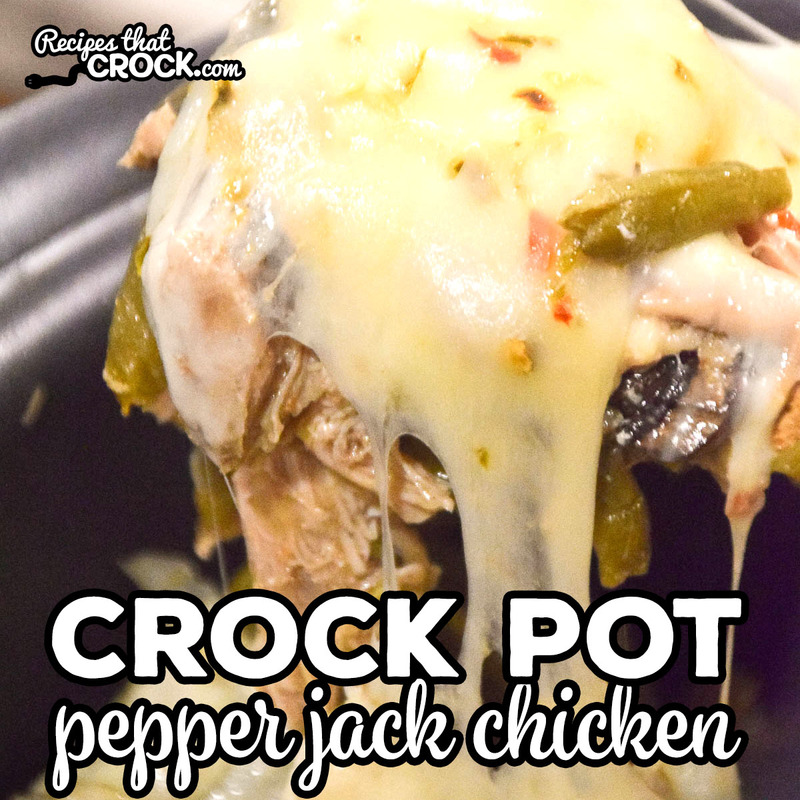 Crock Pot Pepper Jack Chicken! I have made this dish for years in one form or another. It does have somewhat of an unusual ingredient for a dish like this, BUT trust me it is sooo good! Sometimes when we go out on adventure we aren’t sure how long we will be away from the camper. Slow cookers with “warm” settings (like our Ninja) that kick on after the cooking time are a lifesaver for those days. However, as much as the “warm” feature can save the day, they can also dry out dishes (I’m looking at you chicken breasts…) if you aren’t careful. That is one reason we like to cook with chicken thighs (or beef) on those days. Dishes that call for chicken thighs or beef tend to be able to withstand cooking beyond the original cooking time better than chicken breasts or pork. Making this dish in a slow cooker is super simple. You just place the chicken down in a 6 quart slow cooker season and layer on the veggies. Cook the dish on low for 4-6 hours until chicken easily shreds when stirring. Top with cheese and cook on high until cheese melts. Ta-Dah! So easy and so good. We used our 6 quart Ninja to cook up this dish, but you can use any 6 quart slow cooker. You can use chicken breasts instead of boneless skinless thighs, but the cooking time will likely be less than the thighs. Watch closely so you don’t dry out the chicken breasts. Stir chicken until shredded and then top with cheese on cook on high until the cheese melts. 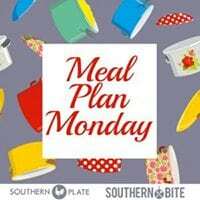 You can use chicken breasts instead of boneless skinless thighs, but the cooking time will likely be less than the thighs. Watch closely so you don't dry out the chicken breasts. 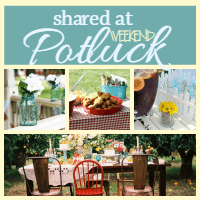 I haven’t made this yet but I will be doing it this weekend. it looks so delicious and I do love chicken. What side dish do you recommend for this dish? We usually just eat it as a one pot meal. It would go good over rice if you’d like to make it go a little further. Hope that helps! 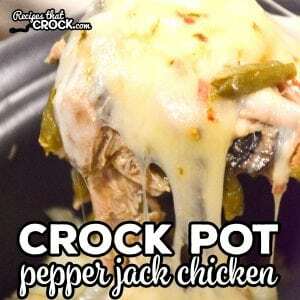 Can the crock pot pepper jack chicken recipe be halved. Sure! I would just put it in a smaller slow cooker. Enjoy!